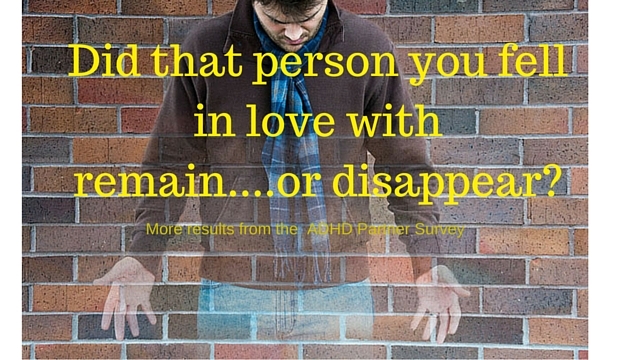 You are here: Home / ADHD Partner Survey / ADHD Partner Survey: Where’s That Person You Fell in Love With? Perhaps that person you fell in love with, months or years ago, is still right there by your side. But maybe that person, while still physically present, has somehow—inexplicably, strangely, terrifyingly—disappeared! 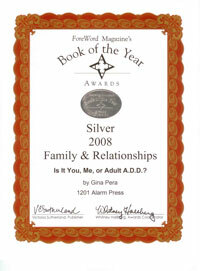 So much confusion clouds the relationship—for both partners—when ADHD is not recognized or understood from the get-go. Oh sure, I know. Everyone‘s best behavior slacks off once the honeymoon ends. It’s human nature. Then again, ADHD is human nature, too—to the extreme. Take everything that we humans do on a regular basis—procrastinate, act without thinking, misplace things, lose our tempers. Then multiply it by a factor of X, X being the number and severity of ADHD symptoms. In a previous post (What Traits Attracted You To Your ADHD Partner? 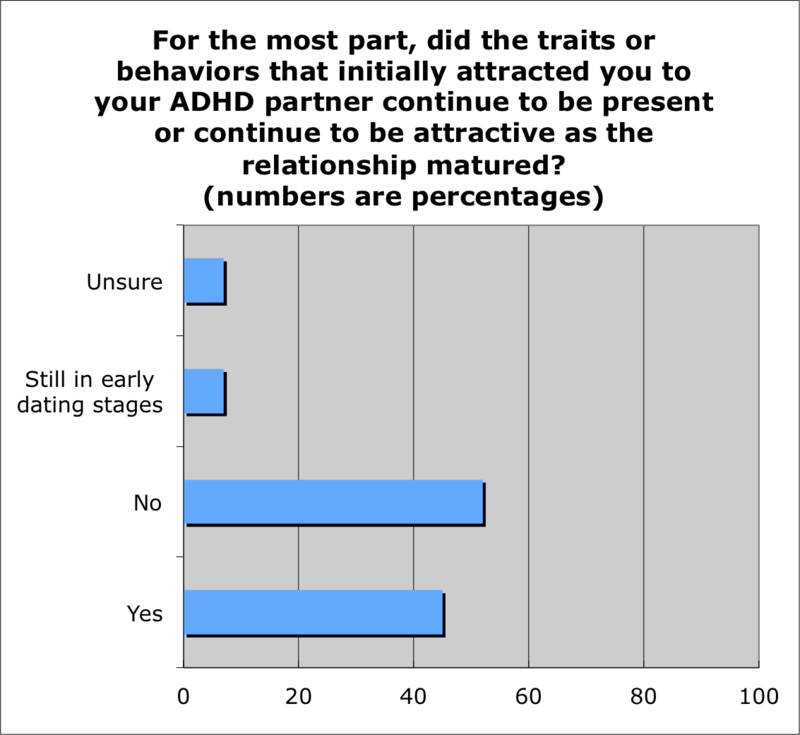 ), I compared the attractive personal traits that attracted ADHD Partner Survey respondents to their mates—and vice versa. This time, let’s see if those traits continued to be present (or attractive) as the relationship matured. 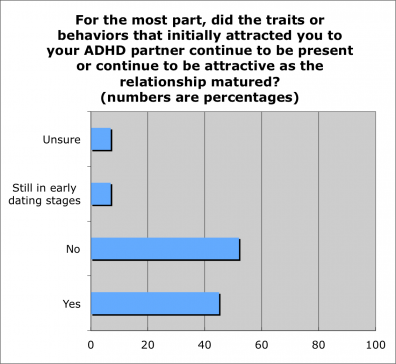 In a nutshell, almost half the respondents said, “Yes, those traits that initially attracted me to my ADHD partner stayed the same.” As for the other half….not so much. The rest weren’t sure or were still in the early days of dating. 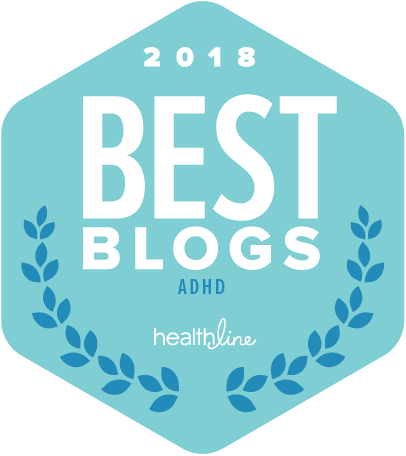 It means that, for some couples affected by ADHD, that transition from Honeymoon to Letting Your Hair Down happens at warp speed (and I explain potential reasons why in Is It You, Me, or Adult A.D.D.?). It’s different for everyone. While there are some predictable patterns in ADHD-challenged relationships, there are no cookie-cutters. To shed further light on these “half and half” responses, I’ll soon share individual write-in responses from the ADHD Partner Survey. I am now seeing his untreated condition so often that our primary bond — an affectionate relationship — has disappeared. I am now the ugly witch that his ex-wife was when I got here nine years ago. Who changed? Me, too. Except his NPD ex got more respect, financial support, accommodation, etc than I’m getting now. Because he moved our 5 months ago. Everyone, including his family, believes every inuendo, spin, skew, lie he tells. Even though I’m on poverty-level disability – it’s now clear it’s from living with years of unDX, unmedicated, untreated ADHD. Not sure how much longer I can hold on. Sorry Judy that ADHD eating you alive, too. I can so clearly “see” my detachment, impulsiveness, anger/outbursts, anxiety and yet as soon as my eyes open in the morning, my mind races at full speed with no warm up. I become immediately trapped in my own thoughts, forced to deal with whatever is producing the most anxiety first so I can unlock the chains that are blocking me from interacting with my family. I must admit it is a painful awareness. Without Vyvanse, it can seem like a hopeless situation. However, when I take Vyvanse in the early morning, it actually puts me to sleep initially. And while I can definitely function much better on the Vyvanse, I withdraw and get very quiet in the evenings as it wears off. Yes, it is tough to be to “other” person in the relationship. But I do find that when I can at least express to my wife that “not now, I am stuck in my thoughts, give me a minute or so” that honest expression helps. I hire accountants to do my taxes, my wife plans all the vacations, and I have partners on all my work related projects to take care of the paper work, and the things that I have come to admit that I could do if not for my ADHD. So there has been a much needed letting go of trying to prove something to myself. But I would want to be anyone else. Hope these thoughts helped. Thank you, Paul. 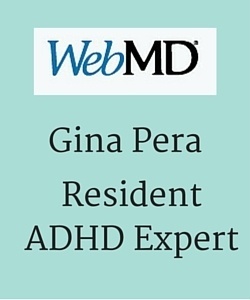 Your clear articulation of the phenomena will definitely resonate for many other people with ADHD, and their partners. I’m sure of it. The “spontaneity” is killing us. Almost always leads to conflict because he’ll decide at the last minute that the family should go do something together. But when I say we already have XYZ planned for the day, I’m the bad guy. So frustrating. The person I fell in love with really has disappeared. Meanwhile, you’re not the bad guy when you don’t want to abandon your plans for the family. Of course, I’m sure you would agree that there are times to be flexible. Maybe the new idea is better than the existing plan. But too often, that kind of reasoned comparison isn’t involved. It’s just impulsivity, and sometimes opposition. My person w ADD was initially so very attentive, I was in heaven! Beautiful cards of appreciation, elaborately planned and over the top, fun dates, laughter and lightheartedness abounded. Not to mention the more private moments being fantastic… ehem…Now I now that was the heady, falling in love time, fueled by “hyperfocus”. . Over time, much of all that sadly faded. In his case, he cannot keep on track unless hyperfocused. Even then, will take him forever and completing any project is a rarity. How he managed in the workforce is a mystery to me! ( I met him when he retired). So many oddties abound. He also has been diagnosed with more than one other comorbid mental health condition, that erupt in an ugly manner. Sum total is a terribly out of control, spinning wheels lifestyle. No thought of it’s affect on others! Weeks of no communication= ” I needed to lay low and get things done”. Sigh. Story for another day. 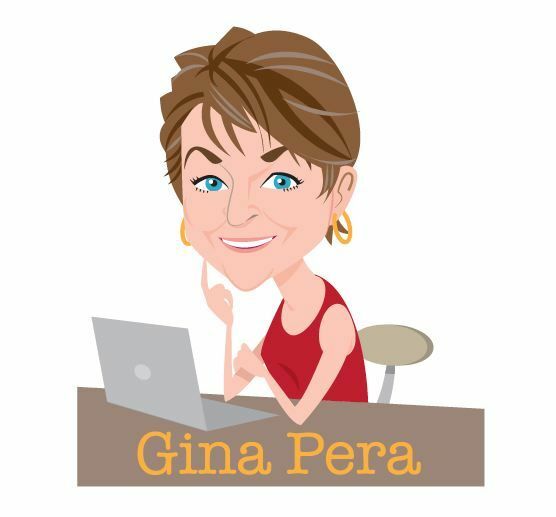 Thanks Gina, for all you do to support these challenged souls, and those who care about them. I hope that the “spinning wheels lifestyle” slows, for both of you. We are their hostages as some one said earlier. Initially I felt the hyper focus, the putting you on a pedestal, chasing, phoning and can’t live without you. Should I say the same, they take everything literal and will probably call the police as I am going to do myself in. Initially when the chronic lateness, forgot to return call, the horrible anger when confronted about method of doing something wrong, you just write it off to anything. But they are not normal. Normal people see their wrong, apologize, do not get defensive because they are adults. We get the 2 year old response of there you go getting upset for nothing. And the cop behavior is something else. They can waltz in whenever and if I am 5 mins late with traffic problems, or not by the phone when called, I GET THE LOOK and a ride home with a seething princess. Its a do as I say and not do as I do relationship wit theme never wrong. And all decisions are not up for discussion…good or bad, right or wrong. Do it or that is the end. They are famous for you can get out or I will leave if you challenge them in any way as well as no problem twisting the facts to get you revictimized. It is 26 years later and my financial picture is shot and I am just waiting to see if my beautiful home is going in foreclosure. Once she got fired again, the dog of 16 years feeling the pressure of a person who is angry the dog is just lying in the sun died. She never got up once while the dog suffered through the night. Job to job with no warning or discussion about should I quit my job and put us on relief. Every morning is a series of surprises, bad surprises. I got the date wrong, my unemployment insurance is done, I didn’t pay the car insurance, no I did, but the wrong amount. THERE IS NOT AN OUNCE OF STABILITY IN YOUR LIFE. We have to go down to apply for assistance today because there is no food. Then there is the no discussion of guess what I BORROWED $5000 or that plan we put together as to paying bills, shopping for groceries on meagre money….done. Actually we never discussed a plan did we? I could go on and on but I have to figure out where I am going to live at 67 with no house, no money to pay for mover and place to store my possessions. I have no family except a daughter and her behavior has ended all relationships especially with the sophisticated tantrums and meltdowns. No one seems to care about the spouses and the abuse we endure to our finances, our health, our mental well being as having to be handcuffed to an adult who acts like a ticked off teen with no ability to take away the car keys or the bank card. And truthfully online banking has not been our friend! Originally it was too much work to go to bank, now its play with the buttons OCD style and chart my movement minute by minute with a lecture on buying necessities while this person plays the slots and whines we have no money. Do I really wonder why the prison population has a high rate of ADHD. But what about us…their spouses!!!! We should say that there is no “they” for people with ADHD. With an estimated 10-30 million people in the US alone estimated to have ADHD, the only thing such a large number of people have in common is variable aspects of a variable syndrome. Yet, all that you describe is not unknown among severe ADHD. That of course is a good question, and one that individuals in this situation need to ask themselves, to prevent future such situations. I know from my own experience, there can be a “war zone” phenomenon — where you are so turned around and confused by what’s going on, trying to put out fire by fire, that you don’t always act rationally. Your brain can go only so far, especially if you are also working full-time. If one has been competent in life before this relationship, there can be this idea that “I can handle this, if I just figure out what to do.” Unfortunately, severe ADHD can outfox and outstep everyone. As far as who cares about the “partners of,” you’re looking at her. I was the first one to even acknowledge and then serve this population, for years through free online and local support groups. 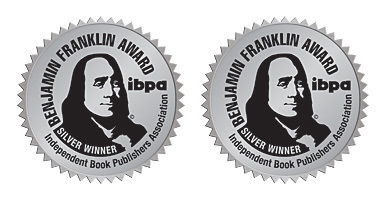 My first book was an outgrowth of this work. Best of luck to yhou going forward. Tonight is our 27th anniversary & I’m considering divorce. I’ve just discovered you, your book & this blog thru YouTube. These posts are as heartbreaking as my story. 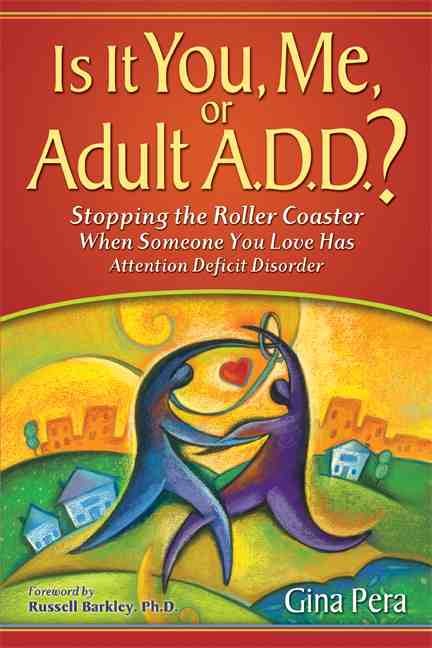 So many counselors, retreats, workshops, books, sermons on marriage — no one addressed ADHD. I was beginning to think he is a hopeless narcissist. Now I think his ADHD has caused some narcissist tendencies to develop. Which is actually hopeful! I am also tying our worst years to his hyperfocus ehile running his own business for 20yrs. When we dated for 3yrs & were first married he worked for someone else. Workaholism has also become a factor, 1 bcz he can’t sit still & 2 bcz he knows how to DO work ten times better than how to do intimate relationships. Mbbe we can pull this thing out of the ashes w your couples therapy book! I have a glimmer of hope. I’m so sorry that you went through the same useless mill that I went through—and that inspired me to work to help other people from avoiding that mill. Late-diagnosis ADHD means some habits are very established and sometimes hard to change. But neither of you will know until you try. And, even if you decide to part ways, at least your husband will know if he has ADHD and be able to take steps to live a healthier, happier life. To be completely honest reading some of these comments is quite terrifying. My boyfriend and I have been together for three and a half years, we moved in together about 6 months ago and I am at my wits end. We are constantly fighting about his mismanagement of money, I do my best to keep our finances separate and to make sure all the bills are in my name, but I feel like he is really starting to resent me. How do I keep the condensing tone out of my voice if he is late on paying me back for rent again? I am a mere mortal, anyone would start to get annoyed, rent is due the same day every month, how to I get this through his head? I don’t want to be a mom I want to be a girlfriend. He acknowledges it and says it is due to his ADHD, but at what point does it just become self centered? I want it to get better, but from the sound of the comments it never gets better so I should just do the right thing and leave? I think we are both good people deep down, but I don’t know if I can keep sacrificing just to keep his head above water with the responsibilities of being an adult, I’m only 27 and I’m already exhausted. If you find some of these comments “terrifying,” you might want to listen to those fears. I would encourage you to shift your mindset, from one of assuming that you must be super-human in your attempts to compensate for your partner, risking injury to your emotional, physical, and financial health. Read my book, learn about treatment strategies, and then decide if it’s worth staying in the relationship. What about the spouses that deny after many year and many “second, third etc. tests/opinions” that they don’t have ADHD? OR they admit for just long enough to give you (and kids) a glimmer of hope. Then go back to not doing anything different. Many years of talk, “I this, I that” very narcissistic in nature. Tried couples therapy many times and it always came down to…. well Mr. Husband, why don’t you do what you said you would do – therefore, minimizing the trust/relationship you have with your children and spouse? The answer from him is always, “I don’t know” but look I make a lot of money so I am not the problem. Can you believe I was the first person to address the topic of ADHD and denial publicly? And definitely, “denial” can be reinforced when the person is a strong earner. But I understand the “I don’t know” part.” He probably didn’t know. And it sounds like that couple therapists didn’t know, either.